CEO and Event Planner After nearly a decade in the corporate world, Vicky founded Event Accomplished in 2004 when she was looking for a different career where she could work closely with her clients, make an impact, and feel relatively quickly the sense of accomplishment when all your hard work has come together. Vicky’s brother thinks that she has landed the perfect job that uses her innate ability to bring order to chaos. Her prior business experiences prepared her well for event planning. In her last position, she was a proposal manager for $1 billion in prospective work, managing all aspects from bid strategy to staff coordination to proposal production, requiring a combination of creativity, attention to detail, customer understanding, business savvy, and ability to work under extremely stressful conditions. Prior to that, she managed project schedules and costs on engineering and construction projects worldwide. She holds a Masters degree in Business Administration with a concentration in entrepreneurship/small business and event management from the George Washington University and a Bachelors degree in engineering from the University of Pennsylvania. 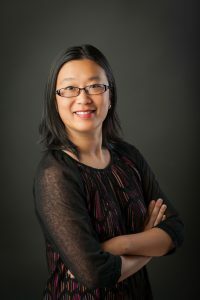 Born in Hong Kong and raised in New York, she has lived in the Washington, DC area since 1996 and currently residing in Arlington, Virginia with her husband John and two cats Rocky and Andy. Wedding Coordinator Megan adds several valuable dimensions to the Event Accomplished team. A Northern Virginia native, Megan’s extensive knowledge of the area will be an asset. She knows more about the people and places of Alexandria and its surrounding areas than anybody. Second, the ability to analyze an event and see where the risks are is an important skill for an event planner. 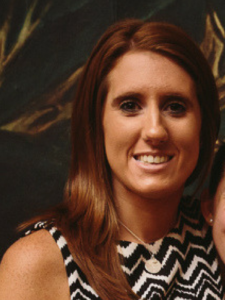 Megan’s experience in risk management allows her to think about the “what if” of your event and to always think of workable Plan “B”. Her attention to detail, creativity, proactive attitude, and ability to read people – all traits that will ensure that your event is a success! 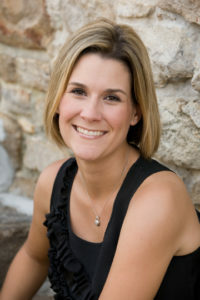 Megan holds a Master’s degree in Public Administration from George Mason University and a bachelor’s degree in Sociology from James Madison University. She lives in Chantilly, Virginia with her husband and two adorable daughters. Wedding Coordinator Jen’s experience as a former assistant principal at a preschool meant that she knows how to bring order to chaos, an important skill for a wedding coordinator. Her ability to adapt in changing environments and to work in teams will also serve her well at both weddings and corporate events. She has excellent organizational skills, is extremely prepared, and has a proactive attitude – all traits that will ensure that your event is a success! Jen holds a bachelor’s degree in Psychology from George Mason University and lives in Herndon, Virginia with her husband Patrick. Lead Event Support Juanice joined Event Accomplished in 2007, acting as an event assistant at nearly every event since then. With compliments from guests about her calm demeanor and positive attitude, Juanice helps to make sure your event will go off without a hitch . Many times a bridesmaid, Juanice has experienced the ins and outs of weddings and drawing from these, she knows what makes an enjoyable event. 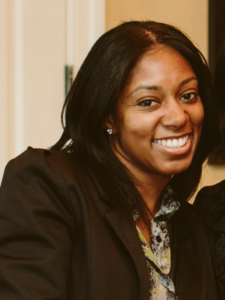 Juanice completed the Meeting and Event Planning Certificate Program at UNC Charlotte and holds a Masters degree from Marymount University and a Bachelor’s degree in Communication/Public Relations from the North Carolina A&T State University. She lives in Arlington, Virginia. Contact us and let’s chat about your event.